A simple 10-day challenge, full of real food, tasty recipe, and NO RESTRICTION. It’s about simply adding one thing to your day – that’s it. 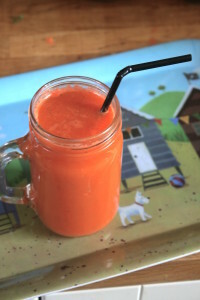 No more faff, no more pond water smoothies, no more restriction! Just you feeling a little bit more fabulous! 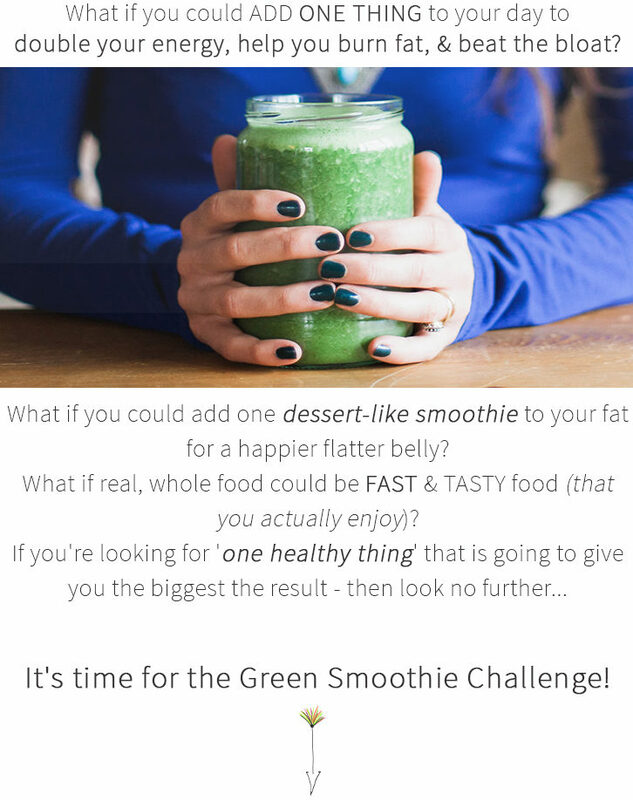 What is the Green Smoothie Challenge? A 10-day online challenge that gives you MASSIVE results by simply adding one green smoothie to your day. No faff or hours spent in the kitchen – guaranteed. It is the simplest & quickest way to double your energy, beat the bloat, love your belly and feel a little bit awesome! Its 100% natural, whole food goodness with no weird powders or processed shakes. Just good honest food in under 2 minutes flat! 1 a Day x 10 Days = Better energy, a happier flatter belly & no more OVERWHELM! You’re fuller for longer and snack less. You shed between 2-10 pounds (if needed). That you start the day with a natural boost. That your skin and hair look WAY better. 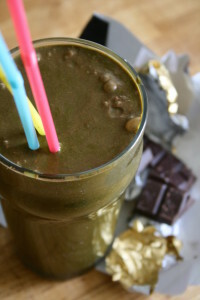 Your family, kids, and colleagues get intrigued and start enjoying green smoothies too. You actually crave healthy foods more. A reduction in sugar cravings. That you have more energy in the afternoon. 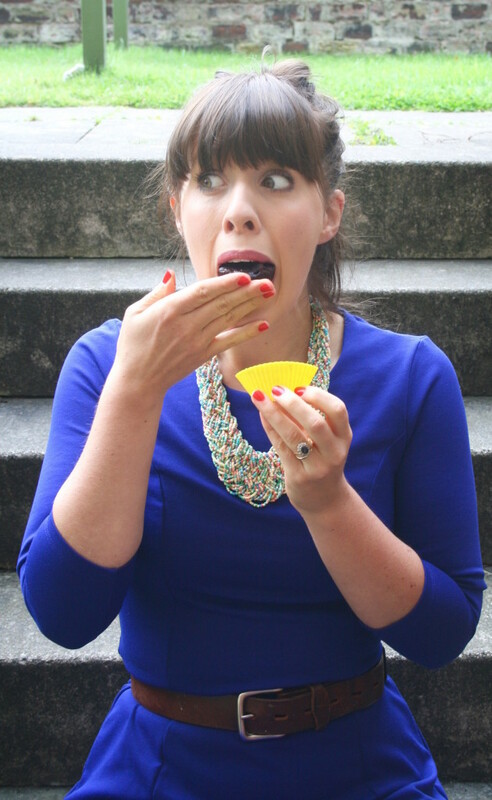 I am a Holistic Nutritionist & Health Coach helping fellow cake eating rebels to create one happier healthier belly. I love helping people heal and thrive from the inside out, focusing on reducing inflammation in the gut and helping people eat in a way that nourishes their belly. But more than that, I have been there and gotten the flipping t-shirt!!! Sure, I am not 100% perfect but I have gone from being sad, sick and stuck on the loo to now leading a vibrant community of people who are all learning how to have their cake and eat it, as well and get and stay healthy! Oh yes and I love to eat cake and pudding pretty much every day…sometimes for breakfast. 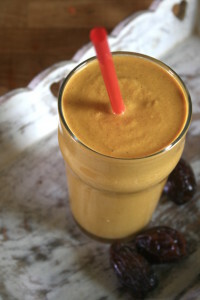 Recipes for smoothies like Chocolate Super Shake, Cherry Bakewell, Carrot Cake and MORE! 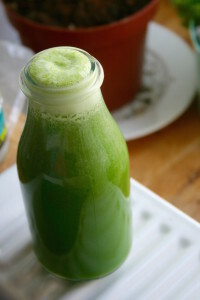 A complete guide to making fresh juice too and why they can be beneficial. You wake up to a new email from me every day for ten days with a new recipe and simple tips to get you GLOWING! A 10 Day Shopping list sent to you for the full 10 days, saving you time and £££! A 7 Day Cleanse with a workbook and 7 Day Green Goddess Meal Plan for when you want to go deeper. Daily resources and support to help you get the most out of the challenge. A complete ‘how to’ with 8+ recipes for making your own nut milks to save your tons of money. Mini coaching video series throughout the challenge. PLUS a free weight loss eGuide to help you make most of the challenge. This is NOT about making a million changes at once. This is about what to ADD to your diet, how to keep it super SIMPLE and delicious….. but still see some BEAUTIFUL results. So – Are You Up For The Challenge? How it works…as simple as 1-2-3!! 1. You sign up and get sent the shopping list, eBook & quick starter guide instantly with simple instructions on how to activate challenge. 2. You activate the challenge at a time that suits you. Then you’re sent an email every morning for 10 days with a new recipe. 3. 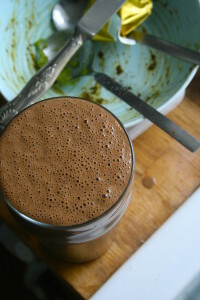 You wake up, blend a dessert like green smoothie daily and watch how awesome you start to feel. Do they taste gross …. like pond water? I feel far more energised and fuller for longer… cravings for sweet things are much less. 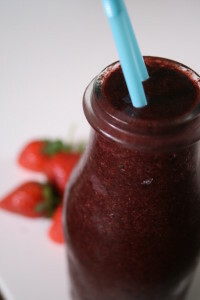 The smoothies taste great, I especially love feeling like I’m having dessert for breakfast. If you have a significant amount of weight to lose and you follow my guidelines as outlined in the free weight loss guide, then yes you will. Obviously, everybody is different and some health problems can interfere, but people have lost anywhere between 2-10lbs. I feel amazing, more energy, don’t find myself being dragged out of bed in the morning, wake up feeling refreshed, lost 9lbs but wish I had measured myself as feel I have lost a lot of inches! Plus to state the obvious – if you don’t need to actually lose weight then you won’t or if you have metabolic issues, thyroid problem or other health conditions then you may not lose weight. This is not a ‘get supermodel skinny’ challenge – this will help you find your own ideal and healthy weight! Is it ok for vegetarians or vegans? Yes, this is perfect for vegetarians and vegan friendly!